Asbestos - Free, professional estimates for remediation or encapsulation remediation/encapsulation per NYS/EPA/OSHA standards. Lead - Free, professional estimates for remediation or encapsulation remediation/encapsulation per NYS/EPA/OSHA standards. Mold - Free, professional estimates for remediation or encapsulation remediation/encapsulation per NYS/EPA/OSHA standards. 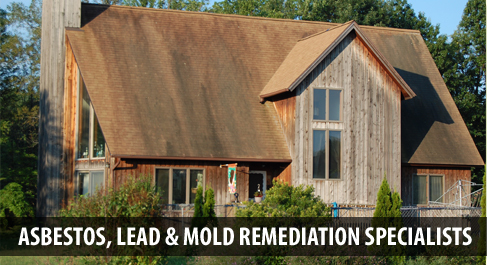 Are you seeing a moldy substance developing in the dark and damp areas of your house? Is that substance of a greenish-black color? It's known as Strachybotrys atra. This is also known as black mold. It is very toxic and can even be deadly. When you're dealing with mold you need to know all of the facts. To find out if you have this dangerous mold is to do a laboratory analysis. The toxins this mold puts out is due to it's food processing that create mycotoxins. To know what Strachybotrys atra could do to your health, you need to be aware of the symptoms it can cause. Someone who has been exposed might have trouble breathing; suffering from headaches, coughing, nausea, memory loss, dizziness, sinus infections, watery and itching eyes as well has more serious diseases such as pneumonia, asthma, and bronchitis. It is accountable for more than 100 types of lung and breathing problems. Strachybotrys atra can cause respiratory bleeding, which is fatal in infants, the elderly and immune compromised people. Unfortunately, this predator is sometimes not taken as seriously as it should be. As most symptoms are also symptoms of other diseases. Even when mold is discovered your health may have already been compromised. For example, when you live in an area that has a high in humidity, you're definitely prone to toxic fungi. Moisture is what the mold needs, along with any organic matter. the likelihood of having black mold in your house is far better to homes that are in a high humidity or a constant source of moisture. Moisture is not the only component that generates a breeding ground for Strachybotrys atra. All mold need a food and water source. The homes we live in is the food source And often, those leaky pipes that go unnoticed because the leak is so small is the moisture source. To make it worse, the mold isn't always visabile since it could attach itself to the insides of the walls, which makes it almost impossible for black mold to be seen until staining occurs. Various breeding grounds for Strachybotrys atra is anywhere a flood has occurred. It makes no difference if it's a major flood that occurred during a rainstorm or a minor flood that occurred when the toilet overflowed. 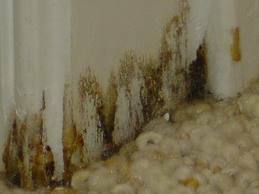 Mold can occur in days if the water problem is not fixed. 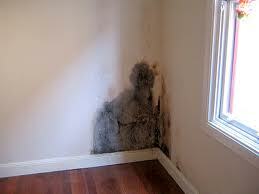 High indications that mold such as Black mold has developed are stains on the walls or ceilings of the house. These stains are commonly black/dark green in color. If you notice signs of black, green or brown, it could be there is a serious problem. Another sign that mold has invaded your home is odor. If the smell of mildew is present it could mean that there are molds on the rise where the odors are lingering. This is when you need a professional Mold remediation contractor to come in and test your home and if mold is visible test the mold to know what type is being dealt with. It is always advisable to see your health care professional if any simple symptoms are being experienced. The next step is to remove the dangerous Mold. This is a task that requires a certified and reputable contractor. It requires careful handling when coming in contact with the substance. Using every precaution available, full body suit, a respiratory mask, eye protection and gloves must be worn when removing the mold. There are numerous products than can be applied to remove the substance. Your contractor will discuss the proper procedure for your individual needs. In addition to using funicides and other attacking agents, containment has to be done prior to any work. Containing the area the mold is growing will ensure that the spores that are disturbed by removal will not spread through out the home. certified technician will undertake black mold removal per your states standards. Be risk-free, be smart, You and your family's health relies on it.